When you buy a home, your lender requires a copy of the purchase contract. They want to make sure that all the terms are met and their investment is protected. One of the sticking points is often the termite work. Once you include the Wood Destroying Pest Addendum in your contract, the lender requires that the work is done prior to close, and in some cases, prior to funding the loan. Without the termite clearance – proof that the property is clean – the lender will not approve your loan. Typically, in southern California, the seller agrees to pay Section 1 items and the Buyer will be responsible for Section 2 items. Section 1 items are those that must be fixed, i.e., dry rot, termite infestation, etc. Section 2 items are things that are not a problem now, but may lead to a problem later. These are preventative measures. The lender normally is not concerned with Section 2 items, however I have heard of some lenders requiring Section 2 items to be repaired as well. 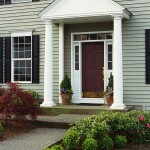 Consequently, I advise my buyers not to agree to Section 2 items so that the lender doesn’t require they be completed. This is as simple as not checking the Section 2 box on the WPA form. In the South Bay, we do come across some challenges from time to time. 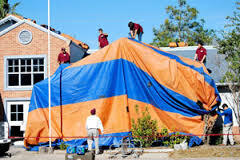 Due to the fact that we have many properties that have 2 or 3 attached town homes, but no active HOA, a problem arises when the seller of one of the units has termites and needs to tent for fumigation. In order to tent, they have to tent the whole structure which includes his attached neighbor(s). But what if the neighbor doesn’t agree to tenting? You are forced to do secondary local treatment to eradicate the termites, but the lender might not accept this alternative treatment and the loan, and ultimately the deal, could be in jeopardy. This can also be the case with two detached units that share the same gas line. Because you have to shut off the gas during fumigation, the neighboring unit must agree to this. It can make for a very sticky situation. If there is no way to convince the neighbor to cooperate with the fumigation, the other option is to remove the WPA from the contract. Once the WPA is not part of the contract, the lender will not require the work. However, as a buyer, you must be comfortable with he fact that the termite work will not be completed and you may need to tent in the future if and when your neighbor is cooperative. You may want to negotiate a credit from the seller for the cost of the fumigation in exchange for removing it from the contract in order to close the deal. Typically when Realtors talk about “chasing the market”, we are referring to a seller who has priced his home to high. The property sits on the market for some time without offers, and then the seller decides to reduce the price. This new price may have been attractive when the house was first listed, but now the market has changed – prices have dropped further, and even though the property is sporting a new, lower price, it’s ultimately still overpriced. This can happen again and again… price reduction, wait, price reduction, wait… but with each price reduction the seller never seems to catch up with the changing market, and he ultimately chases the market down hill. This trend is what drives Realtors to recommend to their sellers to price the home right at the beginning. They may be asking for less than what they would like to get for their home, but it will be more money than what they will ultimately make if they start too high. But these days “chasing the market” can also be applied to buyers. There has been such high demand in so many markets with extremely low inventory that competition has spiraled out of control. Buyers lament that they went $20, 30, 40 thousand over the asking price and they still didn’t get the house. And after missing out on property after property, they learn their lesson. On the next listing, they come in like gangbusters, make the offer of the century, and blow everyone else out of the water. Ultimately, each home that is sold sets a new benchmark. And the next listing can start at the new level and go up from there. The sooner a buyer gets super aggressive the better, because she will secure her home and get out of the race while prices continue to go up. The buyers that continue to hem and haw and make conservative offers will chase the market up and possibly price themselves out of the market or pay a great deal more money than they would have had to pay just a few months prior. As a Realtor, I don’t enjoy having the conversation with my buyer clients that they need to make an offer over the asking price. I’m much happier when my clients feel like we did a good job negotiating and they got a good deal. But not all markets work that way. And when you find yourself in a market that has rising prices, the sooner you are aggressive, the better. 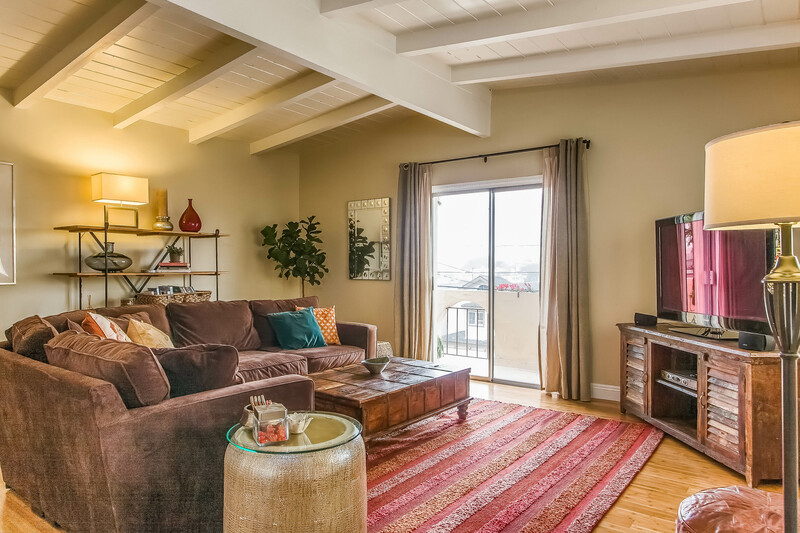 For instance in North Redondo, the price of a 4 bedroom, upgraded town home was selling in the mid to high $800,000s at the end of 2012 and into early 2013. They are currently selling for low to mid $900,000s, and in a couple of cases close to $1,000,000. It’s a big price swing in a short amount of time. If a buyer was aggressive back in January, he could have purchased 2109 Huntington Lane, #B for $829,000 or new construction at 1905 Plant Ave, # B for $859,000. (These are sold prices.) In the past 6 weeks, buyers have paid $998,000 for 1906 Morgan Lane, #B, $960,000 for 2208 Warfield Ave, #B, and $950,000 for 2118 Pullman Lane, #B. The key to buyers “chasing the market” is that at any time it can stop. Once buyers decide enough is enough and they feel prices are too high, they will pull back and prices will come back down again. But until then, the competition is stiff and sellers are in the driver’s seat. And for once they are not the ones chasing the market. Prices continue to go up in Redondo Beach. Case in point, 1625 Morgan Lane came on the market last week (brokered by KW). This is a 3 bedroom Tall & Skinny in the Golden Hills, close to Jefferson Elementary. It has been nicely remodeled. The kitchen has been redone, There are hardwood floors downstaris. And unlike most Tall & Skinnys, all the bedrooms are upstairs which is a huge selling point. The bathrooms were not remodeled, but are very clean. The biggest down side, in my opinion is that the living space (on the first floor) does not get much light. Anyway, it was priced at $759,000. In a few days, the seller had amassed 16 offers, going well over asking. I can reveal the final price once the property closes. This home is ultimately going to sell for more than it may even appraise at. However, the winning bidder may have removed the appraisal contingecny, eliminating this issue altogether. 1517 Stanford Ave: Listed at $739,000. Sold at $769,000. This was my listing. I had 4 offers and the winning bidder was all cash, no appraisal contingency. 1610 Van Horne Lane: Listed at $825,000. Sold at $840,000. Buyers are being aggressive. If inventory continues to remain low, this marke could continue to rise. The question is are we creating another bubble? Real Estate Advice: Am I Able to do an Inspection before I close? Yes, you should have the option to do inspections before you close. In California, buyers typically have 17 days from acceptance to do their inspections. If within those 17 days, the buyers decide that they don’t like what they find, then they can walk away. If the buyers do their inspections, then remove their contingencies, then they are committed to the property and the deposit becomes nonrefundable. It’s extremely important for you to get your inspections done as soon as possible especially if you want to do any further negotating with the seller on repairs, a credit or a price reduction. If your looking at a single family home, I would always recommend a home inspection and a mold inspection. The home inspection will give you a general understanding of the roof, foundation, plumbing, electrical, appliances, HVAC, fireplace, etc. The mold inspection focuses on water/mold issues. So many buyers don’t do a mold inspection, but it’s so important. Water is absolutely damaging to a home and so many times there can be leaks or mold problems that the homeowner is not even aware of. Needless to say, I have all my buyers do a mold inspection. And depending on the age of the home and the existence of large trees on the property, I also suggest a video sewer line inspection which will let you know if there are any obstructions (such as tree roots) or clogging issues. Replacing a sewer line can be expensive and it’s a good idea to know up front what you’re dealing with. How Long Does it Take Banks to Respond to an Offer? When it comes to REOs (or bank owned properties) the banks are much speedier than when responding in a short sale. The reason being, the bank is the actual seller in this situation and they have set the price themselves. REOs work much like standard sales with more normal timeframes. With that being said, it may take a little longer to hear a response only because you are dealing with bank employees with 9-5 hours. But it shouldn’t take more than a week or two at worst case scenario. Usually they respond relatively quickly. The one thing to keep in mind is that sometimes banks respond verbally. They don’t sign any paperwork until all terms are agreed on and at the very end the bank rep puts ink to paper. Although it’s not the bbest case scenario, you don’t really have a choice and have to move forward in good faith during negotiations. Also, the bank will usually add all their own boiler plate addedums for you to sign. They will not negotiate on these points. Pay extra special attention to these addendums because they quite often change timeframes and other terms in the contract. Home Buyer Tip of the Day: Who chooses the buyer’s lender? When buying a home, the buyer normallly chooses their own lender. When you buy a home, you should shop lenders and compare their rates. You will decide which lender to go with. If the buyer is purchasing a REO (a property owned by the bank), the bank can not dictate which lender the buyer uses. 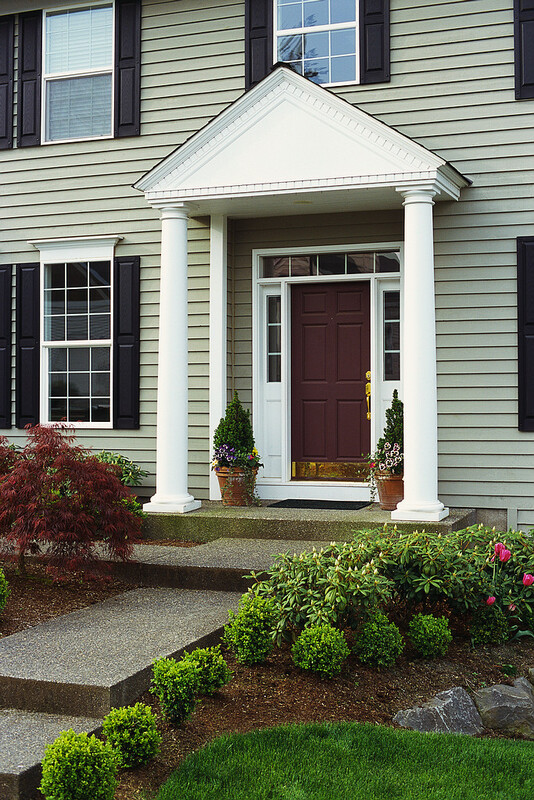 However, the bank can require buyers to prequalify with a particular lender. Ultimately, the buyer can use whoever they want to finance their loan, but they will need to get an additional prequal letter from that lender in order to submit an offer. A non-REO seller (anyone other than a bank), as part of their negotiations, can require a buyer to use a particular lender if they want to buy the property. This is absolutely legal. A seller may choose to do this because they trust a particular lender and they will feel more comfortable that the deal will go through. If the seller does not make this requirement, then the buyer can move ahead with their own lender. Do Sellers Always Accept the Highest Offer? When you make an offer, it’s not always just about the sales price. There are plenty of terms that the seller will take into consideration when selecting a buyer. Here are some terms that can make or break a deal. First, the size of the down payment needs to be considered. Is this buyer going to have a hard time getting a loan? The ideal buyer is an all cash buyer. The seller does not have to worry about the bank giving loan approval. If there is a loan, the smaller it is the better. Conventional financing is much easier to secure than a jumbo loan. Second, is the buyer well qualified? This goes hand in hand with the down payment. If the buyer has substantial assets, and a low debt to income ratio, then there is a better chance to secure the necessary financing. Or if there is a hitch in the loan, it may be possible for the buyer to come up with more money. Third, the buyer’s contingencies and the length of the contingency period are crucial items to consider in an offer. The more contingencies in the contract, the more opportunities the buyer has to cancel. So a more attractive offer is one that does not have as many contingencies or the contingency period has been shortened. Fourth, if the buyer asks for any seller concessions, it weakens the offer. The more the buyer asks for, the less likely the seller will want to accept the offer. And if the concessions have a dollar sign in front of them, it will only serve to reduce the offer price in the eyes of the seller. Last, how long is the escrow period? Each seller will have a preference for a long or short escrow, but normally the shorter the escrow the better. Again, a long escrow just leaves more opportunity for the deal to fall through.Of course, markets are not created equal. Depending if we are in a buyer’s or seller’s market will help determine how negotiable a seller will be. But when a seller is comparing one offer to another, these are definitely some of the points of comparison.I’ve heard some buyers complain that they offered a sales price that was ultimately higher than the final price at which the property sold. Keep in mind that a lot of things go on during an escrow period. It’s always possible that a buyer made a highly competitive offer, but then negotiated the price down based on the home inspection or the appraisal. Or the winning offer may have had other terms that the seller found attractive and just as important as price.